Benefit from our Red Truck Team that is on-task and committed to taking care of your property, as if it were our own. Our designers are more than artists, they are problem solvers with an arsenal of experience, materials, and talent; to bring ideas to life. Insure your deliveries, employees, and your patrons have full and safe access to your place of business. Our business isn’t just about numbers… it’s about people. 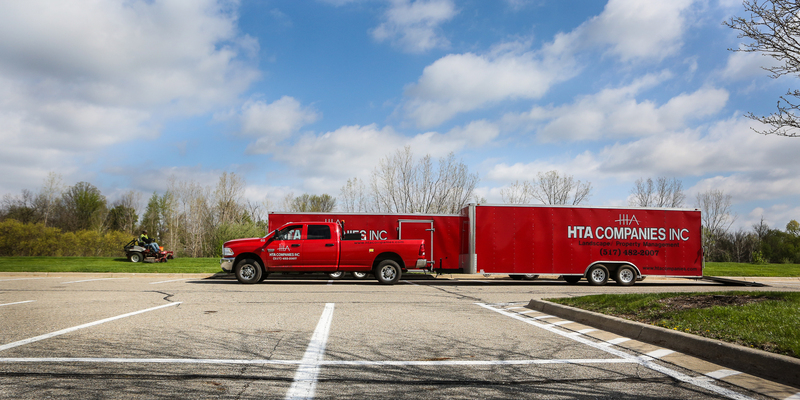 HTA has dedicated 25 years in attracting the right talent, building relationships, and creating and maintaining beautiful properties around Lansing. We enjoy what we do, because we help people. 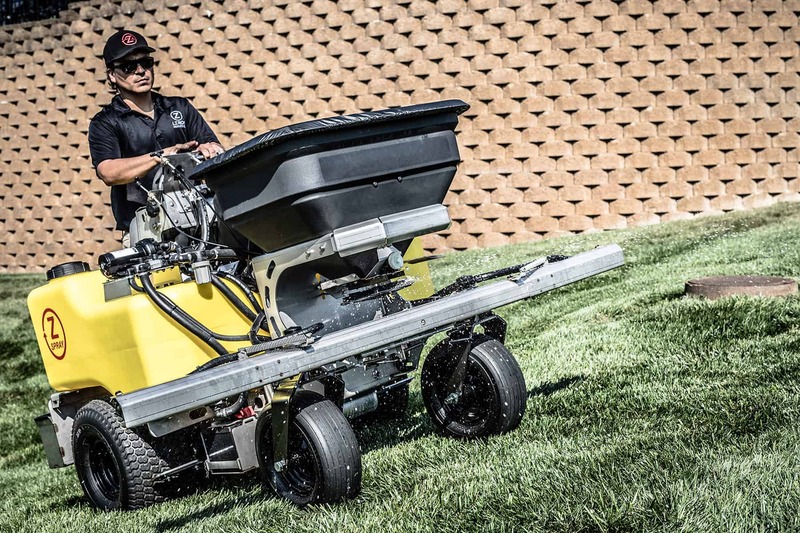 Let’s become your partner and help you create and maintain the landscape of your dreams. Service is more than a motto, it’s our purpose! Whether you’re needing help with design, irrigation, landscaping or care for your site, you’ll want to have an HTA Pro visit with you at your home or business. We’ll be eager to show how we can help. There is absolutely no charge for this appointment! We’ll make good use of our visit to review your needs, observe conditions, and gather the important information we need, to prepare a quote, create a design, or schedule a service. Plan on doing things the right way, by calling us today! We are an expanding full-service company. We offer full and part-time positions with flexible opportunities. We’ll pay for experience, but we’re also eager to train anyone with a good attitude and a desire to grow. We hire the best because we serve the best. If you want to prove or improve your talents; we invite you to join our Red Truck Team. I hired HTA Companies to do the landscaping around a new pool we were putting in. They came highly recommended by my pool contractor. When we initially began the pool project I had no idea how integral HTA would be to the whole process. Bob White with HTA was especially helpful throughout the entire process from start to finish. He not only made recommendations for the landscaping but also made great suggestions for the pool. He came to our home and showed us on the computer what the project would look like when it was completed. HTA worked alongside our pool contractor every step of the way. Bob met our contractor at our house multiple times and even coordinated the fence and deck for my project. The plants he chose, and landscaping were absolutely perfect for our space. All the employees were extremely professional every time they came out. Bob was always there to answer my questions or meet with me for any changes. I would highly recommend HTA and Bob White for any landscaping project. I am excited to see everything bloom this Spring. My wife and I are extremely grateful that we selected HTA for our landscaping/hardscaping and lawn restoration project after our inground pool was completed. From our initial meeting with Bob White, we could tell that this organization was professional, reliable, and absolutely committed to providing top-notch quality work. The crew was amazingly meticulous, hardworking, and prideful while setting our retaining walls and completing the rest of the landscaping. We really appreciated the open communication with Bob and the flexibility his crew displayed as the whole project came to life. Couldn’t have asked for a better experience or be any happier with the final product! It is with great pleasure that we recommend HTA Company. We have had our landscape completed now for a few months and I am writing to tell you how pleased we are with the results. Bob White and his team were very professional throughout every step of the process. We had a unique project that includes a 100 foot retaining wall with drainage pipes installed and finished off with plants that lined the wall. With a negative grade, we had drainage issues that were corrected as Bob listened to our ideas and worked with us to develop the perfect plan. Bob’s vision was amazing and it was magical to see the project all come together. The workers were very professional and did everything in a timely fashion, no wasted time, cleaned up every day, and very courteous. The quality of the work is top of the line. We highly recommend this team if you are looking for the best. Michigan Winters are beautiful; until they interfere with our ability to get to work! Keeping our businesses open, and more importantly, keeping our properties safe, is our first priority.